Fantastic and fabulous reverse painted mirror box with two tiers. Mirror on inside lid. 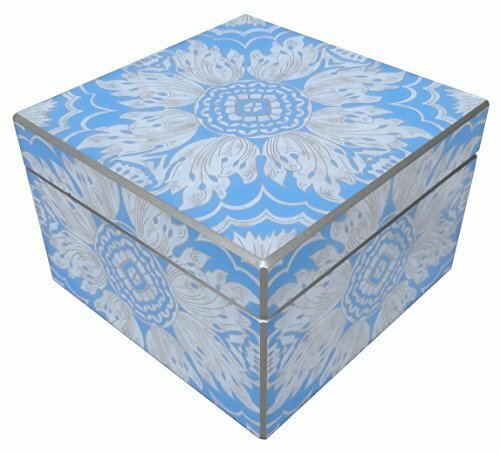 Use as a jewelry box or remove the tiers for a luxurious catch all for remotes or whatever you need to hide. In a lovely silver and sky Blue pattern. 9.1"X9.1"X5.9"